What is Ambisome (Liposomal Amphotericin B) used for? 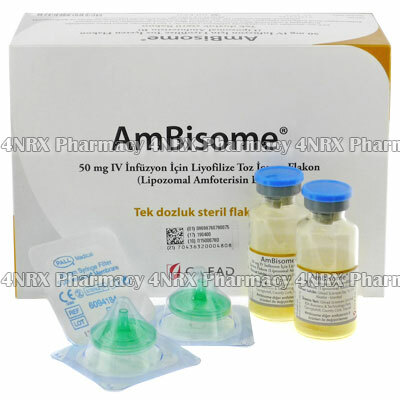 AmBisome contains the active ingredient Liposomal Amphotericin B. This is a treatment of choice for several different fungal infections. It can be used to treat systemic fungal infections of Aspergillus species, Candida species, and/or Cryptococcus species, Cryptococcal meningitis and Visceral Leishmaniasis. Liposomal Amphotericin B is an antifungal antibiotic. It works by killing the fungus and stopping further spread of infection. How should I use Ambisome (Liposomal Amphotericin B)? AmBisome contains a vial of powder. This will need to be mixed in a solution suitable for administration via an intravenous drip prior to use. Your doctor will advise the ideal dosage for you. What are the side effects of Ambisome (Liposomal Amphotericin B)? AmBisome can cause a wide range of different side effects, some more common than others. Contact your doctor if any side effects become troublesome or persistant.